1) Not much is known about this shark but that does not deter an intrepid literary explorer (?) such as myself from attempting to write an entire blog article on it. Why would I bother? Because the specimen is just SO fantastic that it needs to be shown to you, heck to the world. That combined with the fact that you are unlikely to see it if I don’t write a blog, as it belongs in the 93% of our collection, that isn’t on public display. This specimen is the skull of a winghead shark. Or, slender hammerhead if you prefer. 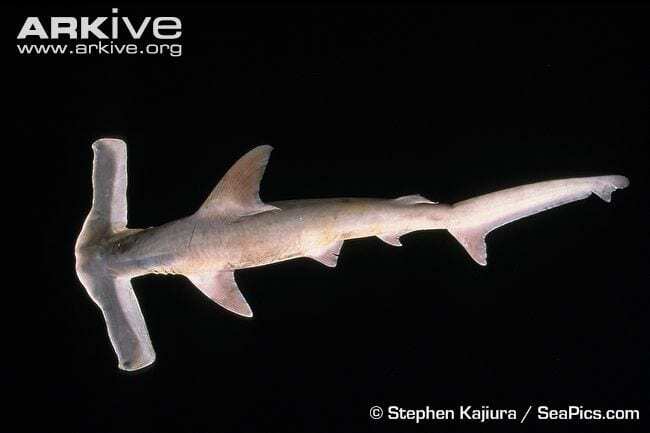 I don’t prefer, as the winghead shark is the only species in its genus Eusphyra, all other ‘hammerheads’ belong to a separate single genus, Sphryna. So personally, I think winghead suits it better, to help illustrate how special it is. 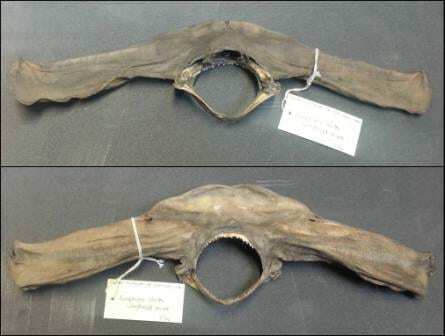 2) “It doesn’t look like a skull Emma…” Yes I know it may look like a boomerang of sorts but this specimen is (the majority of) the head of a winghead shark. You can see an x-ray of a winghead shark skeleton on this website. The two crescent shapes in the head region are the jaws, and all cranial cartilage is positioned above and to the left of (anteriorly to) them. The ‘winghead’ area is called the cephalofoil. Translating that to the specimen in the image above you can, hopefully, see it comprises the whole cephalofoil and the majority of the skull. The posterior margin of the skull has been cut through. 4) A winghead swam into a bar and the barman said, why the wide face? No, doesn’t quite work, better stick to horses for that one. What is the cephalofoil for though? All sharks have tiny pits on their snouts. If you get up close to a large species like a great white shark and ask it to stay still for a sec, you can see them with the naked eye. These pits contain sensory organs called ampullae of lorenzini that allow the shark to use electroreception as a means of predation. So essentially, as it swims along the sea bed, electrical impulses given off by other animals can be picked up by the shark (you give these off whether you’re moving/trying to or not, sorry). Here’s some extra information on ampullae of lorenzini helpfully provided by The Shark Trust for anyone wishing to swat up. Although apparently not confirmed (they’re elusive little devils when it comes to studying them) scientists believe they feed on small fishes and invertebrates such as crabs and echinoids. 5) The winghead shark lives in the Western Indian Ocean, primarily in areas of shallow water that stretch over the continental and insular shelves. It is typically brown on the top, and white underneath. Like an oreo with no base. As little scientific data exist on the species, scientists don’t know how the populations are doing. However, the area in which it lives in southern Asia and Indonesia, are known to be heavily fished, and it’s likely that these sharks are indiscriminately taken. Anecdotal accounts and market surveys have been gathered in an attempt to decipher its status, and the winghead shark’s population does appear to have declined, though more information is needed in order to confirm this. 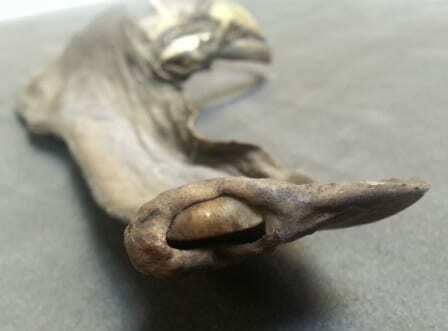 6) Awww, I don’t want to end my last Specimen of the Week blog on a sad note, let’s have a bonus fact number six. 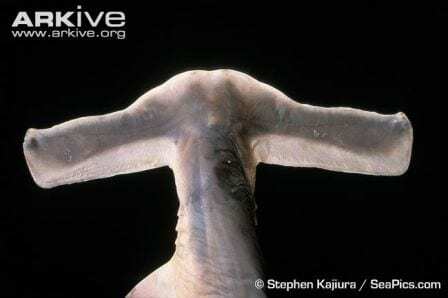 How about, the winghead shark has a HUGE set of nostrils. They are the longest of any hammerhead shark, and quite possibly, all shark species put together. All the better for smelling you with my dear… (errr, they are harmless to humans, fyi).